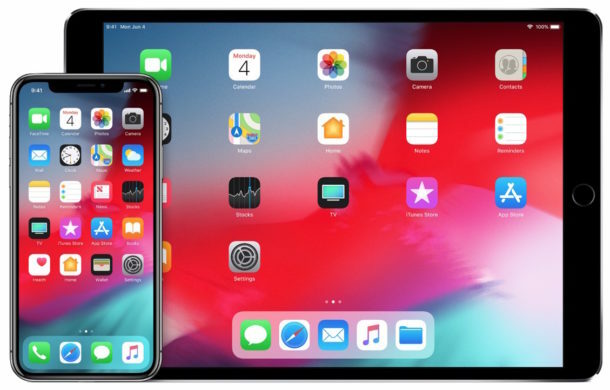 Apple has released iOS 12 beta 4 to iPhone and iPad users enrolled in the iOS developer beta testing program. Meanwhile, iOS 12 public beta 3 is also available to Public Beta testers. The fourth beta of iOS 12 arrives along with macOS Mojave beta 4 (released the day prior), watchOS 5 beta 4, and tvOS 12 beta 4. 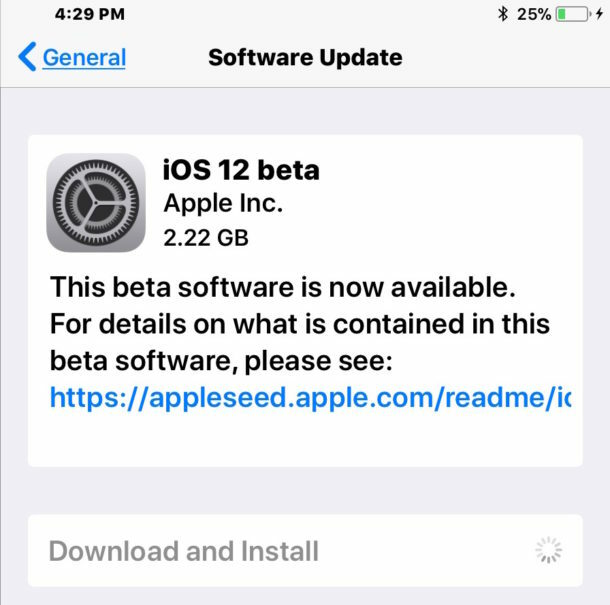 Anyone currently running iOS 12 beta can find iOS 12 beta 4 available to download now from the Software Update mechanism of the Settings app on their iPhone or iPad. Registered developers can also find the profile available to download from the iOS Developer Center. As previously mentioned, the accompanying public beta release is available soon after the developer beta release, thus public beta users should periodically check for a new update to their iOS 12 beta installations as well. Public beta builds are usually a labeled version behind, but otherwise remain the same as the developer beta release. In this case, the iOS 12 public beta 3 is the equivalent. From a technical standpoint, anyone can install iOS 12 developer beta but since the developer beta is aimed at software developers it’s a better idea for general users to install the iOS 12 public beta instead. Beta system software is notoriously less stable than final system software builds, thus it’s best reserved for advanced users. Nonetheless installing the betas is quite easy, and users who regularly backup their devices can also choose to downgrade from iOS 12 beta back to an earlier release of iOS if they decide the beta experience is not working out well for them. iOS 12 includes a variety of new features for the iPhone and iPad, including new Animoji characters, new Memoji self-designed Animoji characters, improvements to performance, a new Screen Time feature to keep track of your device usage, group FaceTime chat with up to 32 video chat participants, and a wide variety of other small features and changes to the iOS platform. Apple has said that the release date for iOS 12 will be sometime in the fall, likely around the same time that a new iPhone is released, along with the final versions of macOS Mojave, watchOS 5, and tvOS 12 as well. I just updated to 11.4! The multi task cards often refuse to swipe away. They need to fix in 12.